Domestic economic expansion is steady, and short-term interest rates have increased 2% in three years’ time. Loan growth runs hot and earning assets are repricing to higher market rates causing gross income to increase at a notable clip. At the same time, deposit growth is less robust causing loan-to-deposit ratios to gradually climb. Funding mix is responsive to the new higher market rate environment as well, steadily shifting from core non-maturity funds to higher-cost term deposits and growing reliance on wholesale funding. 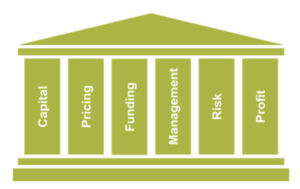 This ever-changing and challenging business environment is very much a reality for most depository institutions in 2019. Although financial institutions have largely seen an increase in net interest margins during the FOMC’s tightening activities, market concern has shifted focus to when the earnings benefit might come to a halt. With a significant factor in this growth being low, stable cost of funds over the period, it is natural to question whether this can persist given the current level of rates and the pressure of economic growth. Depositories that regularly and systematically analyze profitability and relative value to steer the balance sheet understand the attractiveness of loans relative to traditional regulatory-compliant investment portfolios. Stripped down risk positions in the investment portfolio require more leverage to compete with the profitability of loans which carry added exposure to – and compensation for – credit, liquidity, and interest-rate risk. As such, institutions generally jump at opportunities to foster loan growth. However, as loan books fill up, marginal reinvestment is even more critical to the overall profitability of the institution. Generating maximum risk-adjusted spread over funding is key to maintaining healthy net interest margins, and hedging provides a tool to help achieve higher, stable margins. Financial depositories have long managed margins and risk exposure by pairing lending activities with low-cost deposit gathering. Post-crisis, balance sheets became flooded with cash deposits parked there by wary depositors with limited investment alternatives. These deposits not only helped lower funding costs but also provided a natural hedge for risk inherent to the loan book. For institutions that have not felt pressure to establish a derivatives program given strong deposit funding and corresponding low NEV/EVE volatility, the growing concern over changes in funding composition and increasing exposure to interest rate sensitivity is reason enough to explore hedging applications. Consider an institution characterized by strong, steady mortgage origination. Mortgages generate high relative value driven by stable spreads to market rates, low credit costs and servicing expenses, and low capital requirements. Additionally, today’s flatter yield curve and lower cost of duration extension augments risk-adjusted compensation. Historically, the institution relied on stable deposits to fund loan demand and naturally offset most interest-rate risk exposure at a relatively low interest expense. However, slowing deposit growth has resulted in the need to fund via other sources such as promotional term deposits, brokered deposits, or FHLB advances. FHLB advances and brokered deposits tend to carry high term premiums on longer positions making them a relatively expensive risk mitigation tool. Mismatched funding may generate more spread, but at the cost of adding greater interest-rate risk exposure and volatility of earnings. An alternative option is to fund the mortgage assets with a short-term borrowing position and hedge the funding using a fixed-to-floating interest rate swap. By entering into this swap contract, the institution pays a fixed rate interest payment on a notional amount over the contractual period while receiving a floating interest rate payment from its counterparty. The floating payment is used to offset the floating cost of rolling the short borrowing position, while locking in a fixed expense on the borrowing cost equal to the fixed leg rate and stabilizing the spread to the mortgages being funded. The swap synthetically extends the borrowing to the term of the swap contract, offsetting interest-rate risk at a much lower cost than a duration-matched term borrowing. In today’s rate environment, a well-designed hedging program in conjunction with strong funds management can increase opportunities for institutions to add more profitable assets on the margin while managing risk exposure. 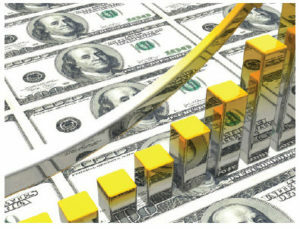 Without access to derivatives, depositories could be faced with the expensive decision to alter their lending programs or funding strategies to manage risk and earnings volatility, all while passing that cost to the shareholders over time through tighter margins and lower returns on capital. Hedging programs can create greater flexibility and adaptability for an institution, allowing management to develop strategies based on risk-adjusted compensation and profitability, rather than being forced to limit their playing field. Brittany Rollek joined ALM First Financial Advisors in 2013. 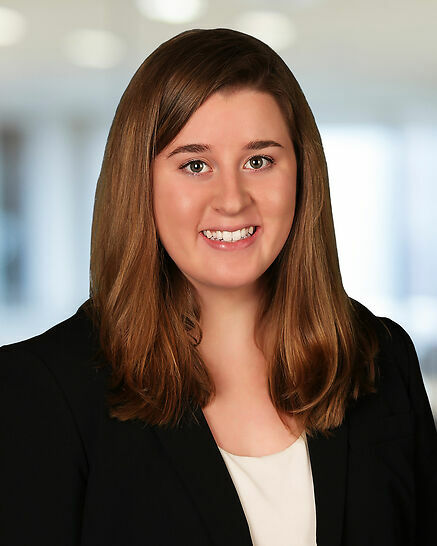 As a Director for the firm, Brittany is primarily responsible for the client’s management team to customize and implement actionable and effective ALM and investment strategies to maximize client performance. Additionally, Brittany proactively designs sensitivity analyses and scenarios to test client balance sheet exposure to various factors and formulates action plans to optimize client performance within policy and risk tolerances. As a Director, Brittany also ensures our clients receive accurate and timely information. 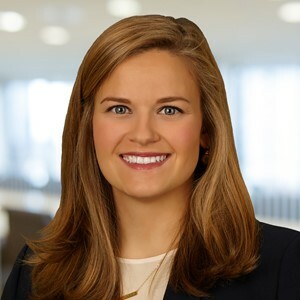 Prior to her current role, Brittany held the role of Manager of the Financial Modeling Group, responsible for overseeing and ensuring the quality of financial reporting including ALM analyses, MSR valuations, “what-if” analyses, and other financial modeling results. Rachel Acers joined ALM First Financial Advisors in 2017. As a Director for the firm, Rachel is primarily responsible for the client’s management team to customize and implement actionable and effective ALM and investment strategies to maximize client performance. Additionally, Rachel proactively designs sensitivity analyses and scenarios to test client balance sheet exposure to various factors and formulates action plans to optimize client performance within policy and risk tolerances. As a Director, Rachel also ensures that clients receive accurate and timely information. Rachel holds a bachelor’s degree in Economics from Rollins College in Winterpark, FL.